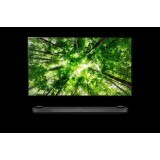 Perfect Black Perfect Color Alpha 7 Processor AI TV Cinema HDR Dolby Atmos .. Perfect Black. Stunnig Contrast. 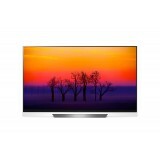 The Brilliant Brain a9 Intelligent Processor Cinema HDR, delivering the filmmaker's vision LG OLED TV meets AI Dolby Atmos® Cinematic Sound at Home A seamless blend with your decor .. 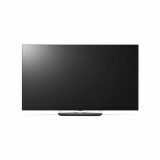 Perfect Black, Stunning Contrast The Brilliant Brain a9 Intelligent Processor Cinema HDR, delivering the filmmaker's vision LG OLED TV meets AI Dolby Atmos® Cinematic Sound at Home A seamless blend with your decor .. Perfect Black. Stunning Contrast. 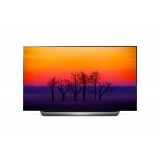 The Brilliant Brain a9 Intelligent Processor Cinema HDR, delivering the filmmaker's vision LG OLED TV meets AI Dolby Atmos® Cinematic Sound at Home A seamless blend with your decor .. Perfect Black. Stunning Contrast The Brilliant Brain a9 Intelligent Processor Cinema HDR, delivering the filmmaker's vision LG OLED TV meets AI Dolby Atmos® Cinematic Sound at Home A seamless blend with your decor ..
Simplicty. Perfection Perfect Black. Stunning Contrast. Black, the most important color Hollywood fimmakers' Deep, Rich Perfect Black The Brilliant Brain o9 Intelligent Processor Cinema HDR, delivering the fimmaker's vision .. Perfect Black. Stunning Contrast. The Brilliant a9 Intelligent Processor Cinema HDR, delivering the filmmaker's vision LG OLED TV meets AI Dolby Atmos® Cinematic Sound at Home A seamless blend with your decor ..
Simplicty. Perfection Perfect Black. Stunning Contrast. Black, the most important color Hollywood filmmakers' Deep, Rich Perfect Black The Brilliant o9 Intelligent Processor Cinema HDR, delivering the filmmaker's vision ..